Kevin Schwantz excelled as a road racer in the 80’s. 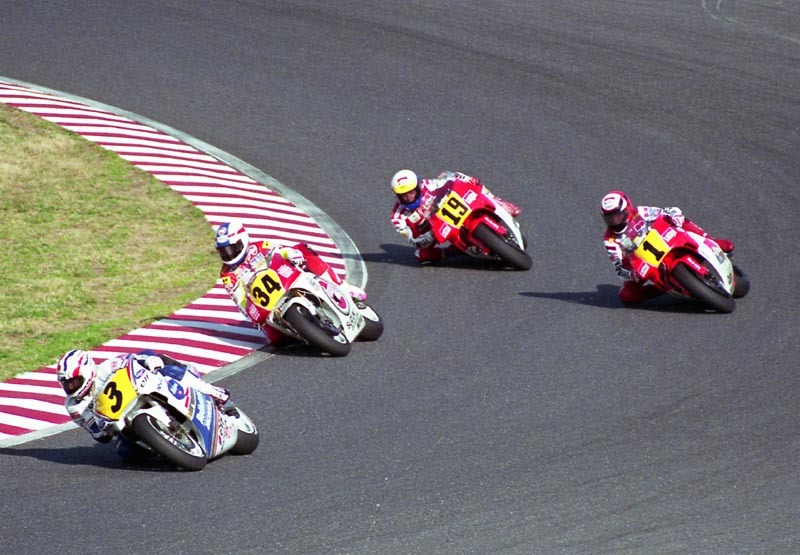 The Texan born motorcycle racer made the move to the international arena in the 500cc Grand Prix World Championships in the late 1990’s. He was always among the top contenders and in 1993 he won the championship. Through the history of his career, he has accumulated 25 GP wins and secured his second place among American riders in history. The star was born in Houston, Texas on June 19, 1964. His family owned and ran a motorcycle dealership when he was a child and encouraged his love for bikes. He learned to ride at the age of 3. A Bonanza mini-bike, powered by a Briggs & Stratton lawnmower engine was his first bike. Observed trials became something he and his father did together. As a young boy, he idolized Mick Andrews, a legend where Observed Trials are concerned. The hero would hold clinics at the dealership annually and he would share his knowledge about trials with Kevin in exchange for billiards lessons. Kevin was a star billiards player. The inevitable move to motocross came in his teens. He excelled in the arena as one of the top regional MX racers. Road racing followed after the bug bit. Using a Yamaha short-track racer on loan from his uncle, he won on his first attempt. At the Houston Supercross in 1983, Schwantz was involved in a crash in the heats that saw him miss the qualifications. The event led to him quitting the motocross scene. Doors opened to the endurance scene and through a friend, he raced his first on shaft-drive Yamaha XJ750. He enjoyed the experience and did quite well overall. He enjoyed it so much that he returned to the shop and got his hands on a Yamaha XV550 which he made some minor adjustments to before sprint racing it. In 1984 he bought an FJ600 and achieved excellent results from the motorcycle, however, he felt he needed to add an RZ350 to his collection. 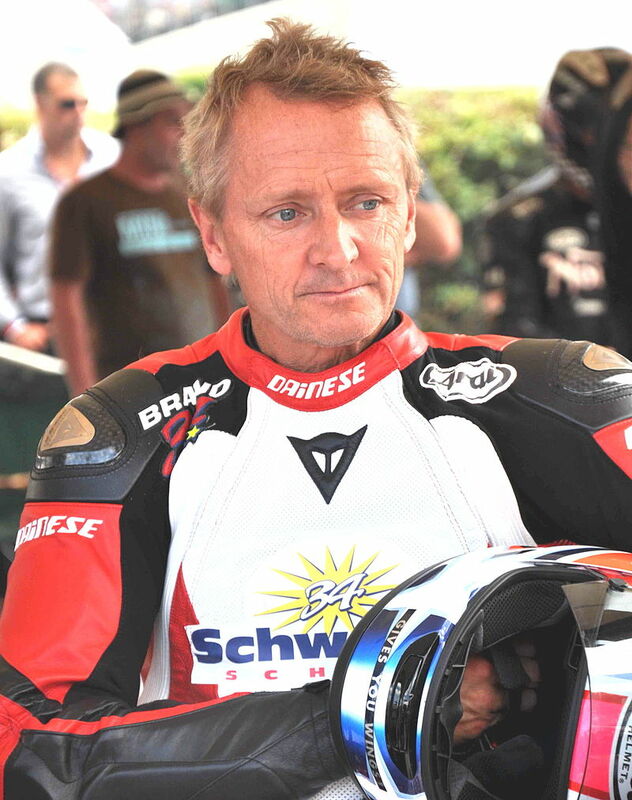 On July 6, 2018, it became worldwide news that Kevin Schwantz would join the many superstars before him in the ranks of the Motorsports Hall Of Fame Of America. An achievement gained through a lifelong passion and dream to succeed in a sport that ran through his veins from a young age. Never fearful of changing the game and always on a mission to win. There is nothing he can’t achieve if he puts his mind to it and that is the attitude that led to greatness.